Showings by Open House. Currently Tenant in place, apartment can be delivered vacant or with tenant. 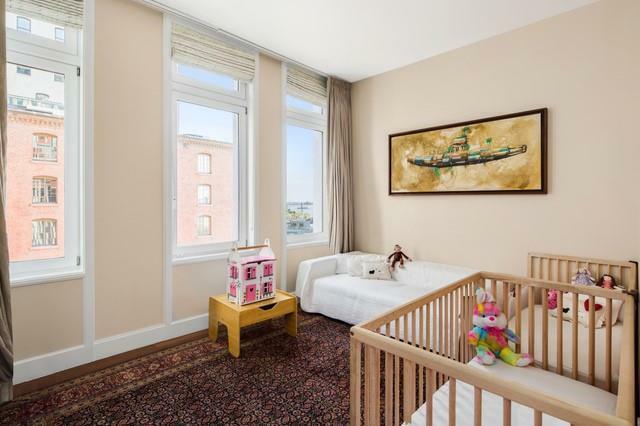 Unequivocally the most sought-after line in the River Lofts Condominium, apartment 6A is a gracious three-bedroom home with captivating views of the Hudson River and Statue of Liberty. Open to the incredibly bright South and West facing dining and living areas, this expansive layout cultivates the perfect atmosphere for serene living or lavish entertainment. Across the entryway is an enormous Varenna kitchen fit for culinary enthusiasts, with high-end appliances and an oversized island done in honed Pietra del Cardozo stone. The apartment's configuration is ideal with a perfectly proportioned corner floor plan. Adjacent to the kitchen is a sizable south facing bedroom complete with an en-suite bath. Next door, a third large corner bedroom has double exposure south and east with an en-suite bath. The northeast corner of the home boasts a tremendous master suite including a walk-in closet and plenty of space for a desk and seating area. The luxurious limestone master bath is outfitted with a double sink vanity, deep soaking tub, stall shower, and enclosed WC. 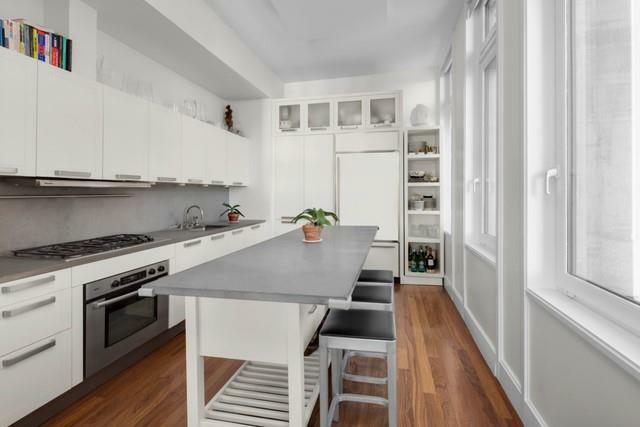 The apartment is graced with gorgeous Brazilian walnut floors and 10' ceilings, and includes central central air conditioning, washer/dryer, powder room, and ample of closet space. 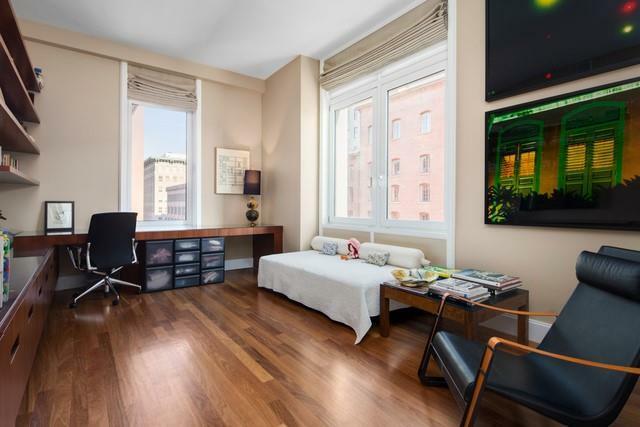 The River Loft Condominium is tucked away on a tranquil and charming block of TriBeCa, along the Hudson River. Originally a 19th century cast iron and masonry warehouse, the building was converted in 2004. 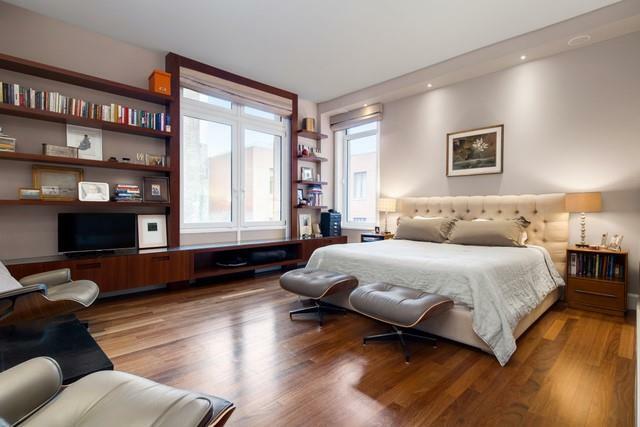 At the height of elegance, this full-service Condominium offers a 24hr doorman, immaculate fitness center, bicycle storage, garden, and parking garage. The beauty and nature of Hudson River Park are just steps away, as well as some of TriBeCa's finest restaurants and rich historical landmarks. Listing courtesy of Kirsten Jordan of Compass.